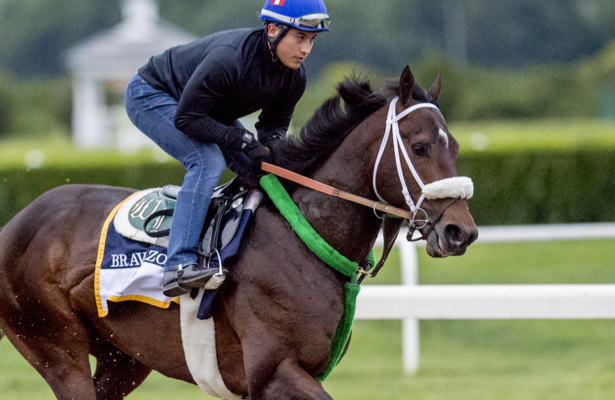 Hall of Fame trainer D. Wayne Lukas said this week that Calumet Farm’s Bravazo, third in the Breeders’ Cup Mile and second in the Preakness Stakes, is pointing toward the $9 million Pegasus World Cup set for Saturday, Jan 26, at Gulfstream Park. “Yes, that’s surely where we’re headed if everything goes well,” Lukas said. Bravazo, who finished second in the Clark Handicap (G1) Nov. 23, has raced in eight consecutive Grade 1 events at six different tracks and is the only horse other than Justify this year to run in all three Triple Crown races. “We’ve got a window of about seven weeks, so we’ll get him in a work pattern,” Lukas said. “We did ship him to Arkansas, where he’s getting a week to just take it easy. We’ll start picking up a work tab schedule in mid-December. Lukas said his first inclination would be to ship Bravazo to Gulfstream a week before the race, saying, “I don’t think we’ll come in right on top of it." A winner of 14 Triple Crown events, Lukas said he supports the Pegasus Championship Invitational Series, which for the first time will include a $7 million turf event.